On March 14, 2019, H.E. Mr. 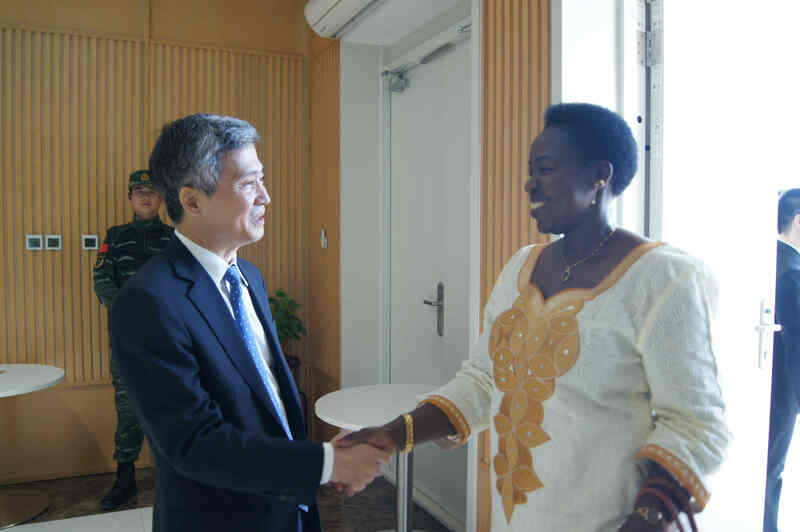 He Xiangdong, Chinese Ambassador to South Sudan, and his wife Mme. Xia Lining held farewell reception at the Chinese Embassy. Hon. Jemma Nunu Kumba, Acting Secretary General of SPLM, Hon. Ezekiel Lol Gatkuoth, Minister of Petroleum, Hon. Deng Deng Hoc Yai, Minister of General Education and Instruction, Hon. Onyoti Adigo Nyikwec, Minister of Agriculture and Food Security, Hon. Dr. Manase Lomole Waya, Chairperson of Relief and Rehabilitation Commission, senior government officials, members of the Diplomatic Corps and representatives from international organization, representatives of Chinese Peacekeepers and representatives from the Chinese community in South Sudan attend the reception. In his remarks, Amb. 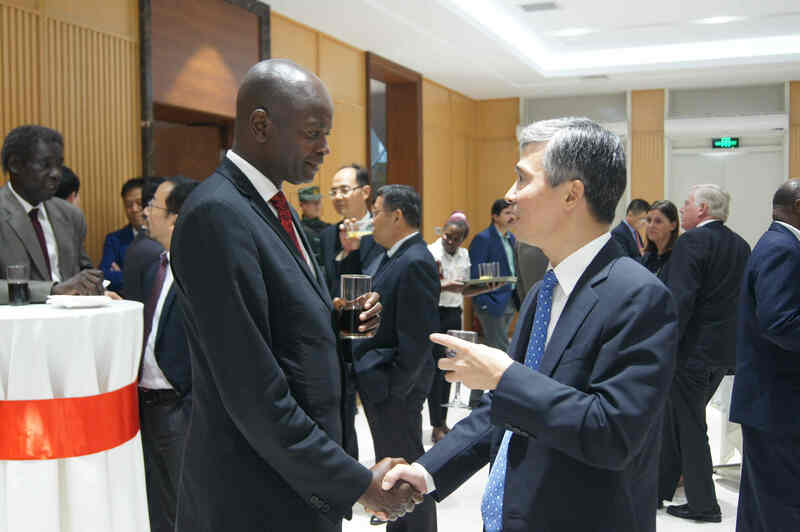 He expressed his heartfelt appreciation to the South Sudanese Government and friends in South Sudan for their firm support to the Chinese Embassy and himself during his tenure. He said that China-South Sudan bilateral relations has progressed steadily, mutual political trust has been deepening and mutual benefiting cooperation between the two countries has achieved fruitful results in recent years. Amb. He pointed out that South Sudan peace process is now at a critical juncture. With the joint efforts of the South Sudanese people, relevant South Sudan parties and stakeholders, regional countries and international community, he believes the revitalized peace agreement will be implemented. China will continue to provide support and assistance to the peace process and nation building of South Sudan. On behalf of President Salva Kiir Mayardit and the Government of South Sudan, Hon. Ezekiel Lol Gatkuoth, Minister of Petroleum, expressed sincere gratitude to Amb. 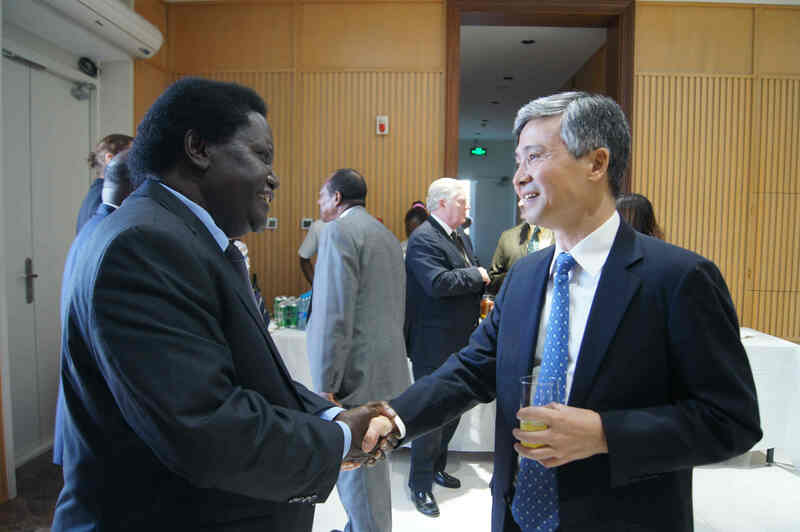 He for his extraordinary contribution to the development of South Sudan-China friendly relationship. South Sudan is willing to join hands with China for building an even stronger community with shared future between South Sudan and China.